Ghostwriter Barbara Feinman’s Pretend I’m Not Here, reviewed. A Washington ghostwriter gets caught in the Clinton scandal complex. 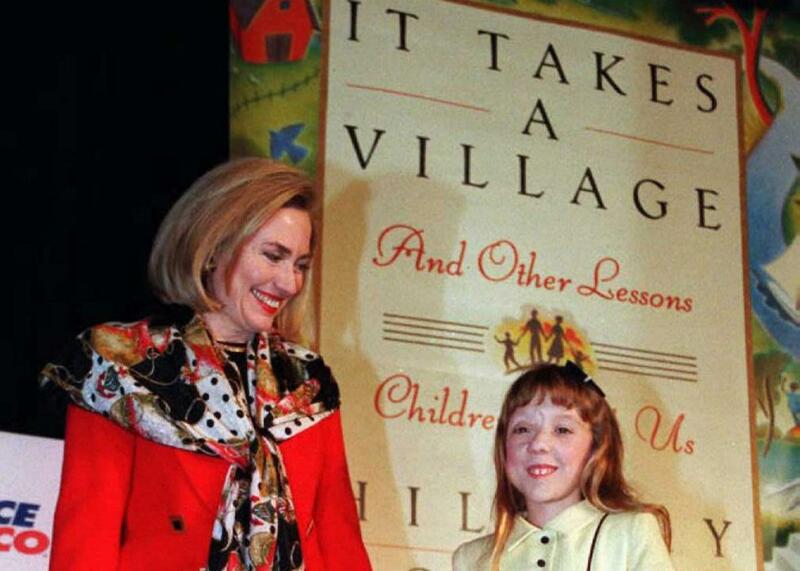 Hillary Clinton during a national tour to promote her book It Takes a Village. 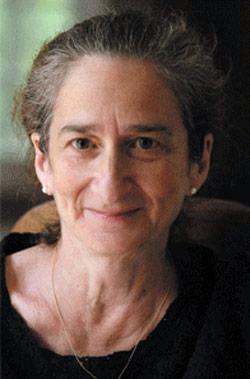 In 1996, the ghostwriter Barbara Feinman endured the worst year of her professional life. Her job—as the title of her memoir, Pretend I’m Not Here, indicates—was to fade into the background. Instead, she had tabloid TV crews camped on her lawn, was portrayed as a wronged underling in the national press, and was called to testify before the Senate Committee on Banking, Housing, and Urban Affairs. She’d been caught up in the never-ending whirlwind of the Clinton scandal complex, and she had no idea why. By the time you get to that conclusion, on page 209 of this very likable book, Feinman is just about the only figure in Pretend I’m Not Here who seems trustworthy. She portrays herself, in her ghostwriting heyday, as a conscientious if overly eager-to-please naif navigating her way through a Beltway landscape populated by charismatic but flawed titans. (She has since become an English professor at Georgetown University and the founder of the university’s journalism program.) Among the books she helped to research and write in the 1980s and ’90s are Bob Woodward’s Veil: The Secret Wars of the CIA, Carl Bernstein’s Loyalties, former Washington Post executive editor Benjamin Bradlee’s A Good Life, and former Nebraska Sen. Bob Kerrey’s war memoir When I Was a Young Man. It Takes a Village was meant to remind the public of Hillary Clinton’s work on behalf of women and children in the aftermath of her disastrous attempt to overhaul the nation’s health care system. For Feinman—who came up with the title, based on an African proverb—the book was the culmination of over a decade of playing literary handmaiden to Washington luminaries, people who, in their initial meetings, often inspired her with so much awe she could barely speak. On her first day sorting through Bradlee’s files in his Georgetown mansion, she was so intimidated by his wife, society journalist Sally Quinn, that she refused Quinn’s offer of lunch despite being famished. The two women later became friendly, but when Quinn spoke up on Feinman’s behalf during the It Takes a Village fracas, she portrayed Feinman (condescendingly and incorrectly) as desperate for both cash and recognition. “She would have died and gone to heaven,” Quinn told the New Yorker, simply to have been thanked in the book’s acknowledgements. The big reveal in Pretend I’m Not Here is Feinman’s theory about why Hillary Clinton—who had previously treated her cordially, with never “a single cross word spoken between us”—suddenly turned on her, removing her from the acknowledgements of It Takes a Village and even, at one point, instructing her publisher to withhold the final installment of her fee for the job. Although Feinman has never published a novel of her own, she has certainly learned how to apply a novelist’s storytelling skills to real life in eking out the root of this mystery. Early on, she describes a walk she took with Woodward, her onetime employer and mentor, shortly after she finished work on It Takes a Village. Woodward, she soon realized, was treating her not like a friend or a protégée but like a source, and against her better judgment she shared with him a story that she felt reflected the embattled mood at the Clinton White House. Hillary Clinton had invited Feinman (for reasons that remain unclear) to a meeting with a New Age author, Jean Houston, during which Houston encouraged Clinton to engage in imaginary spiritual communion with Eleanor Roosevelt and Mahatma Gandhi. For Feinman, Woodward’s expedient duplicity came to epitomize a Washington culture she had grown to detest, with its ruthless scrabbling for inside information and access to power. “He sounded slightly sheepish,” she writes of the phone call in which Woodward confessed, “but at the same time he didn’t seem to regret what he had done. He seemed focused on the big splash he was about to make. A splash in the same pool in which I was drowning.” As piranha-infested as that pool once appeared to Feinman, it looks, from the nostalgic perspective of 2017, to be positively genteel. Reflecting on the stalled political career of Bob Kerrey, who became a genuine friend (when she was holed up in a Wyoming hotel room during the final stretch of writing It Takes a Village, he sent Feinman a care package containing, among other things, one of his famous handmade collages), she concludes that his “proclivity for being who he really was” kept him from making a credible run at the White House. “To become commander in chief, there could be no unscripted or unedited moment,” she writes, in one of the passages that makes Pretend I’m Not Here read like a dispatch from a bygone age. Feinman can blame her own travails on a combination of old-Washington culture and the peculiar self-abnegation demanded of ghostwriters, but the truth is that similarly nasty dramas transpire in New York and Hollywood every week. In the eyes of Clinton and Woodward, they were important, and Feinman was not. They were the leading players, and she had, at best, a supporting role. But more to the point, at least some part of Feinman agreed with them. As a ghostwriter, her relationship to fame and power became a more consuming version of many Americans’ fixation on celebrities, people whose lives can seem so much grander, so much more real, than our own. It’s a fixation that has culminated in an electorate so dazzled by the theatrics of a reality TV star that it has placed him, despite his evident lack of both expertise and basic human empathy, in the highest office in the land. If Feinman lost herself for a while in the larger-than-life escapades of people who treated her as little more than a means to an end, if she became a ghost in more ways than one, then today she must feel that she has plenty of company. Pretend I’m Not Here: How I Worked With Three Newspaper Icons, One Powerful First Lady, and Still Managed to Dig Myself Out of the Washington Swamp by Barbara Feinman Todd. William Morrow.